I am loving neons right now! I know it is fall but neons to me will be cool year-round. I did neon yellow (highlighter-ish looking lol) a month back and I got compliments everywhere- from guys, girls, etc.. and I picked that color on a whim! 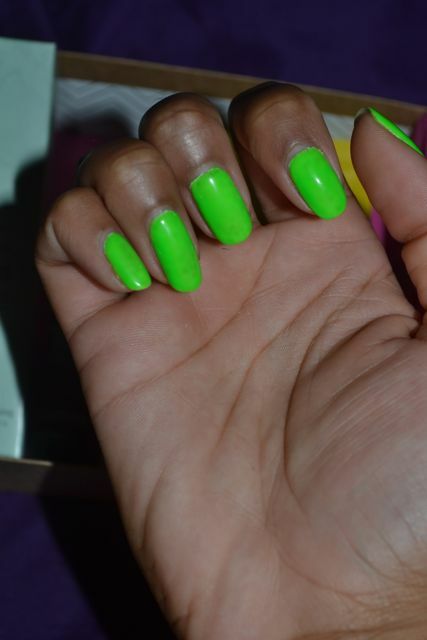 This time I decided to go with a neon green influenced by Evelyn’s neon green nails as seen on Basketball Wives this season! I thought it was cute, so I rocked with that this time! 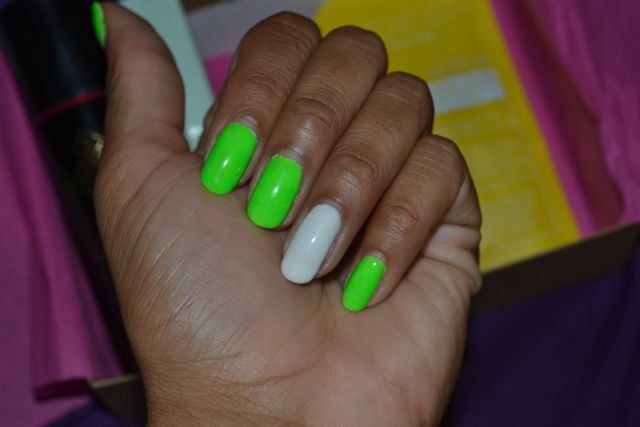 Oh, when using neon colors, it looks best if you do it over white- whether its gel polish or regular nail polish. This will make your neon more vibrant. Otherwise, it won’t be so bright! Do you like neon on nails?